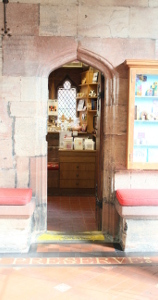 St. Mary’s Church Shop and Visitors’ Centre is situated within the South Porch of the Church and originally started trading in the 1970’s. 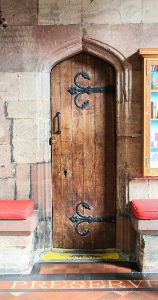 The shop is open from March to December, six days per week, from the hours of 10.00am until 2.00pm. Various souvenirs, church guides, postcards, birthday cards, gifts and religious items can be purchased. The shop and visitors’ centre, which is staffed by a friendly team of volunteers, also serves tea, coffee, chocolate and squash.